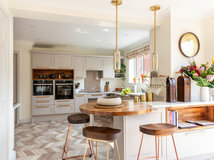 The kitchen is, of course, a functional space where great consideration is given to layout, finishes and appliances, but it’s also good to think about adding some character into the mix. 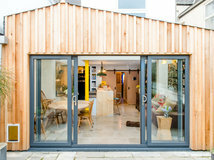 The designers of these schemes have used colour, pattern and texture to take the personality up a notch. 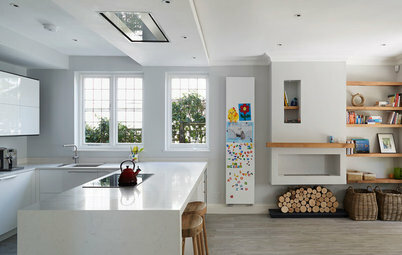 If you want to add just one area of bold design to your kitchen, the splashback is a good place to choose. 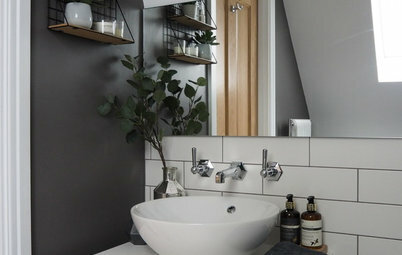 There are plenty of ways you can get creative with the surface behind the worktop, the most obvious being patterned tiles. 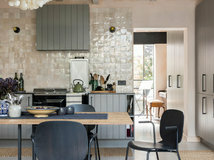 Here, the plain, flat-fronted kitchen units have been pepped up with a wall of fishscale tiles. The design is bold, but the cool colours complement the pale grey units. When it comes to designing a kitchen, we often focus on the practical necessities, including storage, appliances and work space. But once the essentials are in place, don’t forget you can add some artwork, too. A painting, poster or print can completely change the room, transforming it from a functional area into a cosy, welcoming space. It goes without saying that if your artwork is directly above the hob, as here, make sure you choose a frame that can withstand moisture. 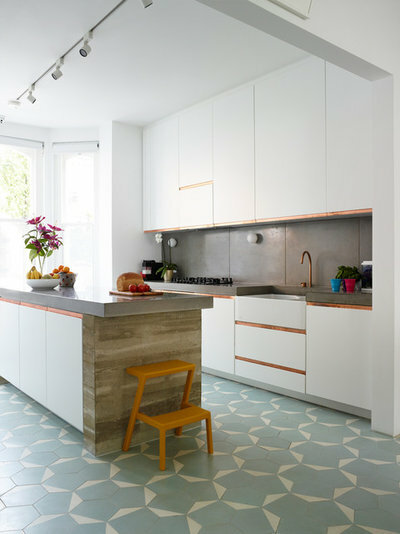 Boost the character of your plain kitchen by choosing an interesting floor surface. 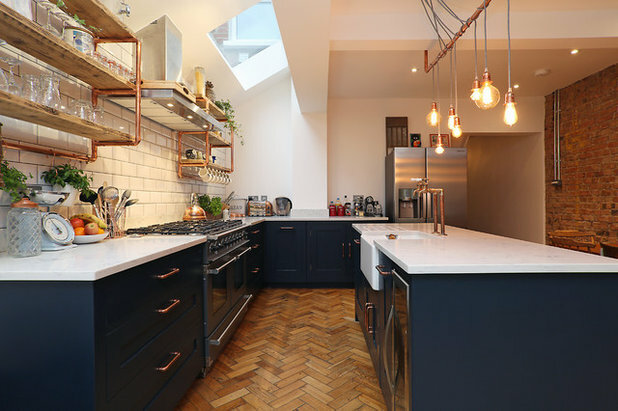 Patterned tiles are a good option, and they come in a range of different styles and colours, so there should be a design to suit your scheme. 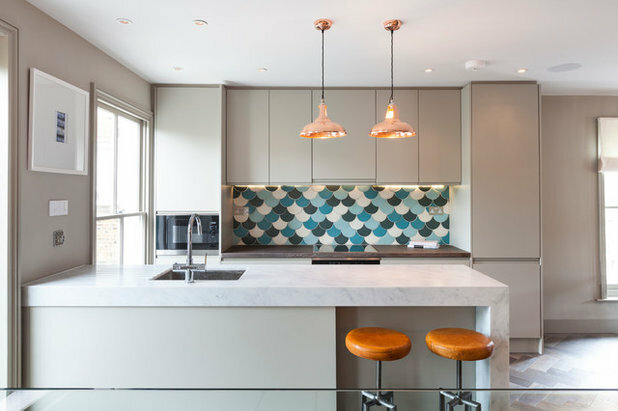 The owners of this kitchen have gone for a geometric pattern that adds a colourful, textured area below the white cabinets. Find tile and worktop professionals in your area. The quickest way to make your mark on kitchen cabinets is to replace the handles and knobs. There are many different designs on the market, from leather straps to brass pulls and jet black T-bar handles. 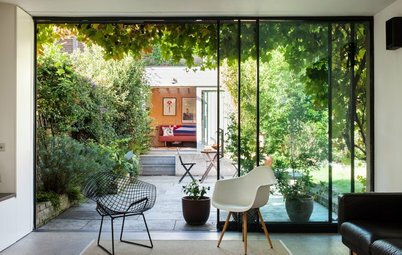 Choose a design that works with the rest of the space to instantly update the look of the room. 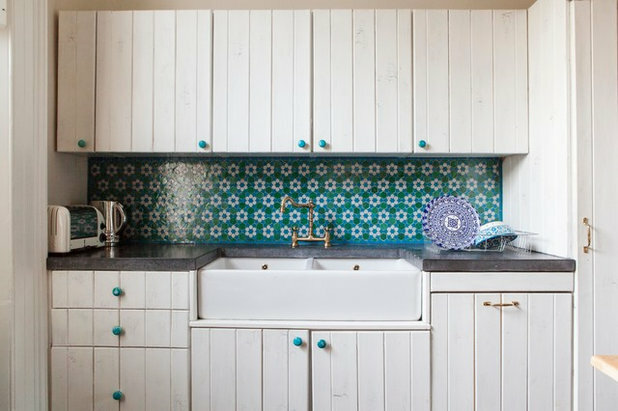 These turquoise knobs are simple yet bold, and they work perfectly with the patterned splashback. 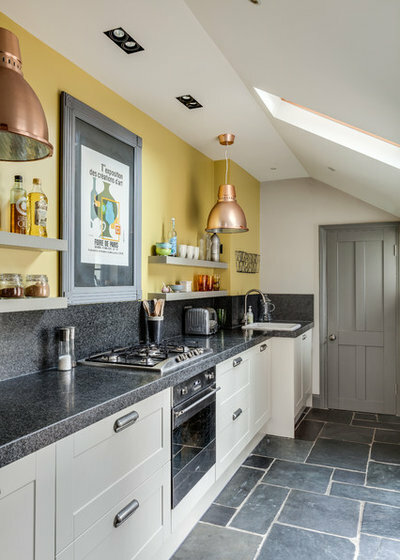 If you have a kitchen island in the centre of your room, make a feature of it by painting it a different colour to the rest of the units. 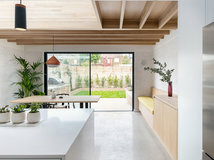 As it’s just one area of the kitchen, you can afford to be quite bold. 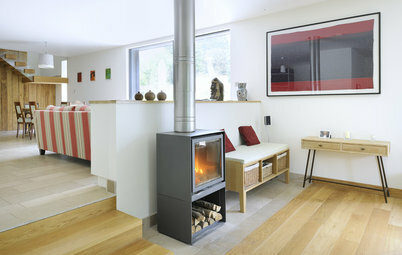 In this space, the designers have chosen a vivid red that really makes a statement. To add even more personality, they’ve painted the stools in a mix of shades. 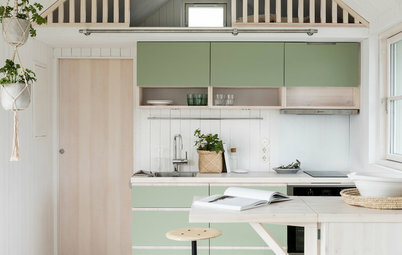 An idea similar to painting the island is to go for perimeter units in two different colours. Choose one shade for the wall cabinets and another for the base units. In this kitchen, the dark lower units help to anchor the space and open up to a much lighter shade above. 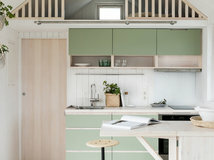 Discover, also, how to mix and match worktop materials. 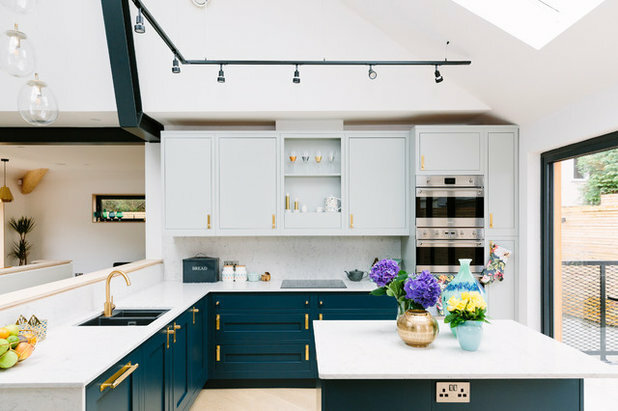 Wall cabinets are practical for hiding away clutter, but if you want to add character to your kitchen, it’s worth incorporating some open shelves. 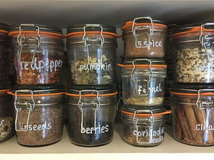 A few of these can provide an opportunity to display jars, crockery or even ornaments. 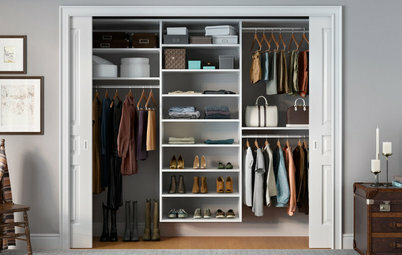 The key is to choose attractive items to display, and to ensure you keep the surfaces neat and ordered. 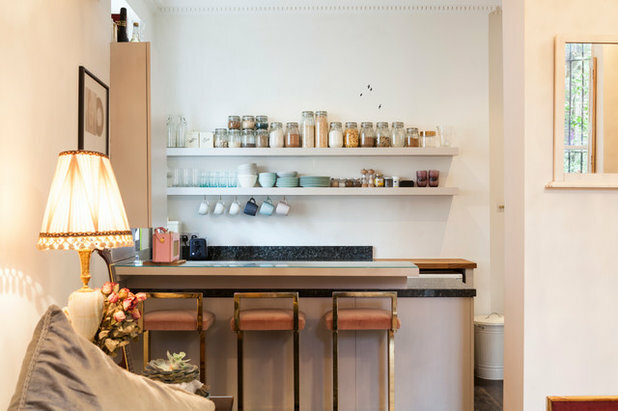 Here, storage jars on the top shelf add warm hues to the space and complement the pale blue bowls, cups and glasses below. 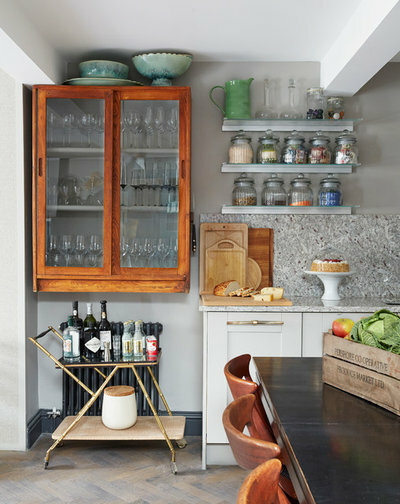 Add a surprise element to your kitchen by contrasting the standard units with a vintage piece of storage furniture. Just one unusual cabinet can be enough to give the whole room a different look. The units in this kitchen are in a traditional Shaker design, but the glass display cabinet brings an eclectic feel to the space. 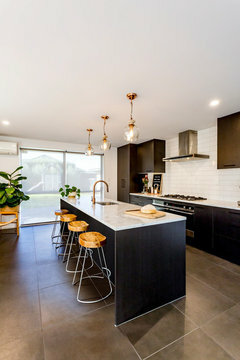 If you’re planning to have pendant lights in your kitchen, choose ones that will add a touch of personality to the space. 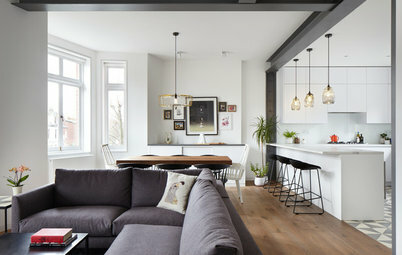 A well-chosen light fitting can have a huge impact on the look of a room – and it can be as bold or as subtle as you like. 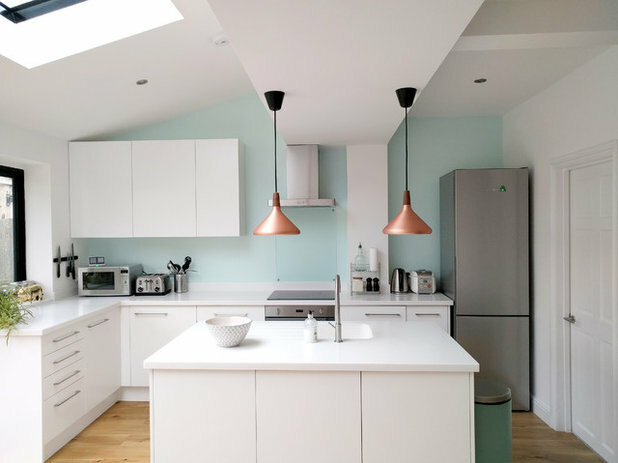 Take these copper shades, for example – the design is fairly simple, but in this white and pale aqua kitchen, they stand out beautifully. Your choice of taps can play a part in how much character you bring into your kitchen. If you want to be different, go for something other than the standard chrome finish. Copper taps like these ones, or designs in black or brass, will bring a personal feel to your room. We often use fabric in other rooms to boost the character of the space, and there’s no reason why we can’t do the same in a kitchen. 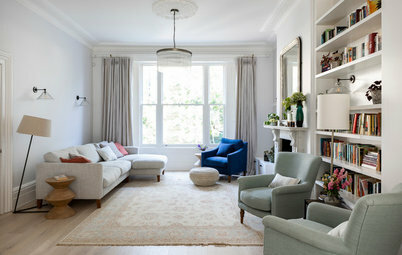 If there’s seating in the room, for instance, you can choose interesting designs for upholstery and cushions. Here, the simple addition of a patterned blind is enough to give the all-white room a welcoming feel. 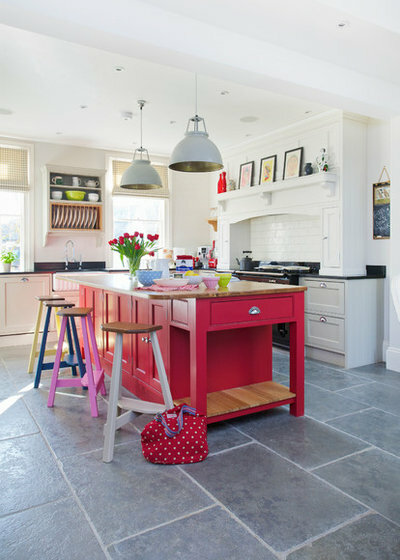 Would you use any of these ideas to give your kitchen some personality? Share your thoughts in the Comments section. 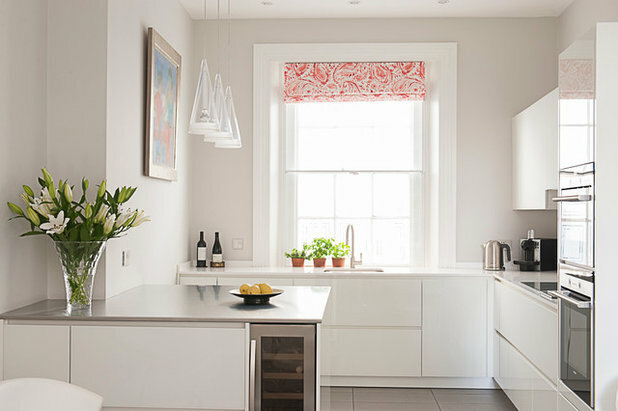 I like the colourful Roman blind in the last one! 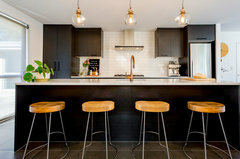 One of our clients put 3 of these ideas into this kitchen; the lights, tap, and artwork really add personality to this kitchen. 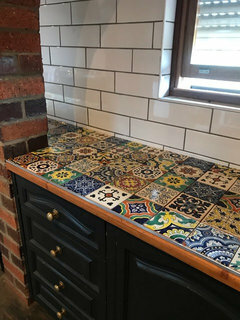 I have a Spanish Mission style home and covered the old bench top in Mexican tiles for a splash on colour.